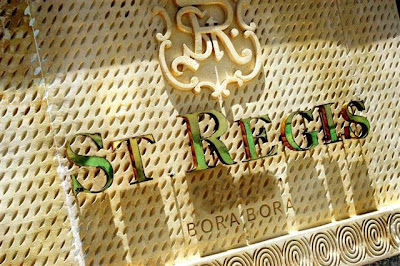 St Regis Bora Bora opened in summer of 2006 and has given every other resort a standard to shoot for. This 5 star resort features Butler Service with Tahitian elegance. 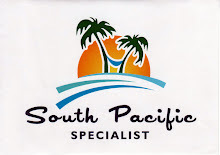 Some of the finest accommodations in all of French Polynesia are offered here. The Villas are incredibly large and have every creature comfort imaginable. Truly Unbelievable. The bathrooms are particularly luxurious. The service is attentive & the staff is eager to help. St Regis is also home to the famed Jean Georges 'Lagoon' Overwater restaurant. Truly one of the most romantic restaurants I've ever had the pleasure of dining in. The food and wine are just plain amazing. Other dining choices include the Te Pahu, Far Niente Restaurante (Italian) & Sushi Take...yummy! The flora is all grown up with endless palm trees and an expansive lovely beach. This resort is spread out over several different areas around the property. Bicycles are provided for guests if they wish to tour the property with ease, but I personally enjoy walking throughout the grounds. There is some great snorkeling as well here in the onsite lagoonarium. The only way to describe this resort and its view of Bora Bora is simply Picture Perfect. All photographs on this blog are copyrighted and may not be used or reproduced without permission. MY OTHER ISLAND SITES, PHOTOS & REVIEWS!